Asha Saxena is a strategic, innovative leader with a proven track record of building successful businesses, a strong academic background, creative problem-solving skills, and an effective management style to communicate a clear vision and define specific goals to meet organization targets while sustaining revenue/profits. Asha has been instrumental in building business models for success. She has been nominated to be one of the founding member of Columbia University’s Global Innovator and Entrepreneurial group. 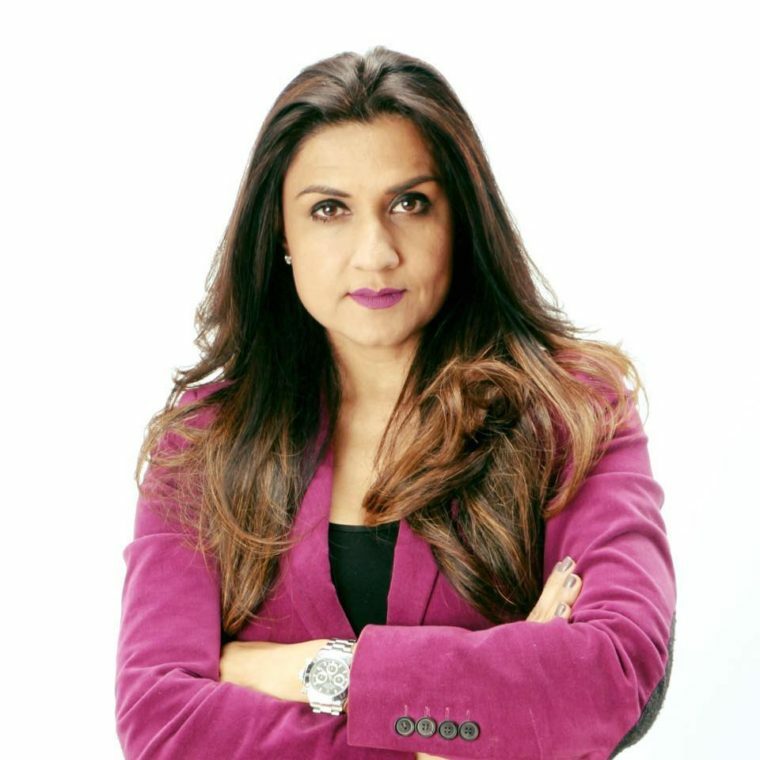 Asha Saxena served as a CEO of ACULYST Corp. Healthcare Analytics Firm. Prior to that she also served as a President and CEO of Future Technologies, Inc. (FTI), an international Data Management and Analytics firm for 20 years . The firm specializes in providing Data Analytics Solutions focusing on Fortune 1000 companies in US. She also built an e-commerce company for 3000 dealers nationwide. Currently, Asha is an Adjunct Professor at Columbia Business School. 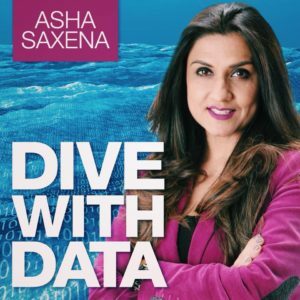 She also has a podcast called “Dive With Data” available through iTunes. I attended Banglaore University in India where I studied computer science engineering. I went on to management programs at MIT and the London Business School. I started my career in a New York-based IT firm before starting my 20+ year tenure at Future Technologies, Inc. Then, I moved on to ACULYST Corp, where I served as President and CEO. I’ve also spent time working as a restaurateur, real-estate developer and movie studio producer. Currently, I am Entrepreneur-in-Resident and Adjunct Professor at Columbia Business School. My parents, my husband and my kids have always encouraged me to pursue my professional dream and having that support has enabled me to live a career I am passionate about guilt-free. Customers focusing on understanding what business strategic goals are and aligning them to the data strategy. Finding intelligence out of data is a challenge and our goal is to help our customers focus on their data to create the edge they need in their business. Share my knowledge, make an impact and help businesses, professionals and executives have a better experience and highly successful professional life. Spend time thinking and planning educational content that I can share with the world and mentor the next generation. Be true to yourself and live an authentic life even if that true self is living your professional life. What’s an online resource that you use often to improve your life? I read everything. My advice would be to use tools like Flipboard or Podcast, spend time on learning, learning something new every day. Doesn’t matter if it’s small or big. Spread the word about the need for business to focus on data-driven intelligence which can push businesses to evolve.